Every good hostess needs to know about the best restaurants in town and of course how to steel some good foodie ideas for her next soiree. Grab some great inspiration for your backyard BBQ parties. I went to Maple Block Meat Co a few weeks back and surprisingly really liked it. I say that because I am not much of a red meat girl. However, my friends talked me into it and I could not have been happier. Now with this said, most of my recommendations will probably be a departure from the normal reviews. I could have left the brisket behind BUT others at my table raved! Here are my favorites for a gal who rather eat sushi than Filet Mignon. Sometimes its nice to try new things! 1. Must have the BISCUITS! I am still thinking about these fluffy, buttery, yet crispy mounds of joy! They come with a large side of homemade butter. I die! Um how about a Biscuit Bash? 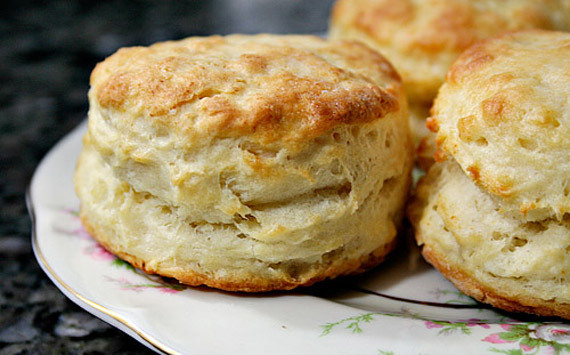 Invite people over and have a ton of different toping for biscuits. You could set up a biscuit bar and make everything or do it pot luck style and have people bring over the fixings while you supply the biscuits. Fried chicken, egg and cheese, gravy, butter and jam, chili biscuits. SO many yummy options. 2. Pork Shoulder Lettuce Wraps! So damn good. They take on a BBQ and Asian flavor at the same time which is super unique and mouthwateringly good. Also a robust flavor without the heaviness of most meat dishes. 3. Smoked Pork Belly! Rich smoky flavor with meat that is perfectly crisp. I like a god crunch with a pork belly. 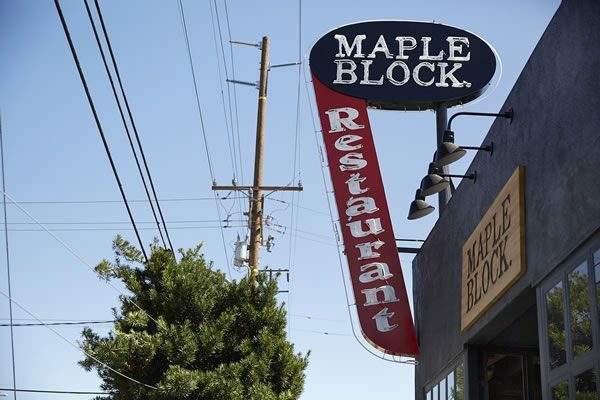 Maple Block reminds me a bit of an old time eating hall with a modern flair. 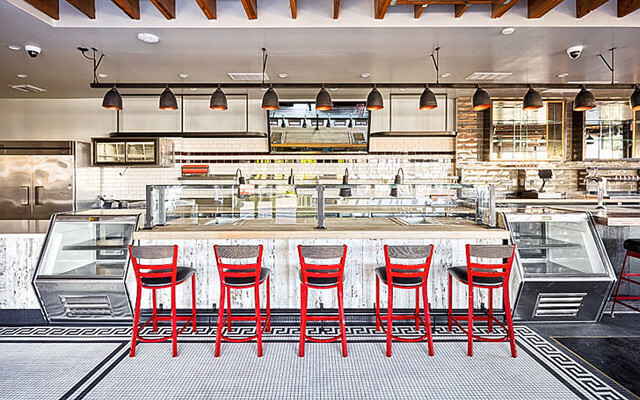 It has a laid back vibe with an industrial look as seen in the subway tiled walls, small round floor tiles and rustic iron throughout. They have some really nice touches with a great outdoor patio, long family style tables for big parties, a super cool vintage cash register and some specialty items like Mexican Soda. I give it a 7 out of 10. This place is more about the food than the décor.